His first wife was Nancy WALKER, daughter of, William WALKER of Virginia. They were married about 1782 in Washington Co. NC. - Second wife was; Frances TADLOCK, b. about 1757, married, June 10, 1787. Frances died, Oct. 17, 1843 in Polk Co. Missouri. MILITARY SERVICE IN REVOLUTIONARY WAR, #S-38731, National Archives, 3 years service. Enlisted for 1 year in Virginia in the Spring of 1775, served 9 months. Re-enlisted for 3 years in Georgia and served in the state of SC. He was in the Battle of Savannah. He was a Private in a Company commanded by Captain Jarvis in the 5th. Regiment under Colonel Fluger of the SC line. William was discharged between 1 and 2 years at Charleston some months before the end of the War. After the War, William received a bounty land grant of 260 acres in SC, in the county of Greenville, on the banks of the Saulda River in 1790. A military pension of $8.00 per month commenced Sept. 27, 1819. William was one of the early pioneers of Washington Co. NC. which later became a part of Tennessee. These early settlers had no government and no protection from the Indians. They petitioned the State of NC. calling their area the State of Franklin. One of the signers of this petition was WILLIAM GILLIHAN. In the 1790 Census of Greenville, Dist. SC. William had a family of 2 males over 16, 2 males under 16 and 3 females. William was taxed in 1800 in Christian Co. Kentucky. William sold his land about 1800 and went to Tennesse with his Son, Clement. They settled in the Club Springs are of Smith Co. They were living there when William applied for his pension. William is buried in Smith Co. in the Club Springs area. His first Wife, Nancy Walker, Son, Clement and other members of the family are buried there in a family plot. The location has been long lost to present family members. Note: From Nola Gillihan Webster: Due to the fact that I believe William was married to Frances Tadlock before he moved to Smith Co TN; I doubt that the above information about Nancy Walker's burial is correct. If I was searching for Nancy's grave, I'd search in the NC/SC areas where they lived. I don't think he got a divorce, therefore she must have died there. James Riley, b. Nov. 20, 1837, Tennessee, d. June 3, 1899, Married: December 30, 1865 in Smith County, Mary Ann Poole, b. March 11, 1833, Tennessee, d. August 15, 1884, TN. William GILLIHAN- Info from 1850 Tn census. He was not listed in the 1880 census. His wife was living with a daughter, Mary J in 1880..Arena- Information on her surname came from JoAnn Bullen, no confirmation has been made, source unknown. JoAnn believes her name to be Arena BUSH. In the 1880 census, both of her parents were shown to be born in North Carolina. Some documents may refer to her has Irene. Gillahan, Arrena, 50 housekeeper B. Tenn.
Green B. 22 B. Tenn.
shows William was her husband, when ?. SOURCE NOTES For John Riley Gillihan: Known as Riley, moved to Sumner co from the Smith Co, Tn area. Family stories say Riley's first wife bore all of their children. Cemetary records shows she died in 1884. Children confirmed from 1880 census records. Also birth state from census records. NOTES: Greenberry GILLIHAN- Info from census records and first name from Donald Gillihan. Census records Census only show name as Green. Census: 1870 Chestnut Mound, Smith County, Tn. Elmer and Nettie had a small store, it was connected to the house. 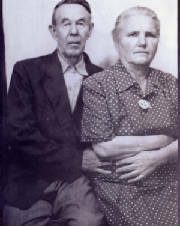 Both Elmer and Nettie suffered strokes in the 1950's. Nettie was never able to walk again but Elmer's wasn't quite as severe. NOTE: That William was the Father of Elmer, we have no doubt, however, we have never been able to find documentation of any marriage to Myrtle Hall. Pauline Eugene, b. July 21, 1922-23, St. Louis MO. Note: Delayed Birth Certificate, not issued until 1940. Elmer sometimes went by the name "Steve". He died from complications of gall bladder surgery. William Gillihan $.76; and William Wood $16.51 1/4. Source: Alice Gillihan, I have two different entries concerning bounty land to William Gillihan. River, Greenville County, Ninety Six District, surveyed by George Salmon. and which one could it be? Is it known if John and Sarah are Nancy's children from a previous marriage? 1] Number of free white males over the age of 16 including head of household. 2] Free white males under 16 years of age. 3] Free white females including heads of families. 4] All other free persons, mulattos, free blacks, Native American. Notice that there are 2 William GILLIHAN's and they are living near James TADLOCK. James is the brother of Frances Tadlock that moved to Barren County KY. Note: While we do not know for sure that this John, William, and Elizabeth Gillehan are our ancestors; there is a lot of things that indicate that they are related. In 1763, John Gillehan and his daughter sold the land that they had inherited from 'Old' William Brackin. Elizabeth's husband sold his land at the same time. Apparently they all went together to North Carolina alnog with several Delaware families. [William Gillehan has vanished, as far as located records go!] In 1779, William, Issac, Thomas, & James Brackin are on the Orange Co NC tax list for for 1,256 acreas. Ashford Keen purchased land from them. About 1794, James Gillehan (Elizabeth's son) went to Sumner Co TN and purchased land. In 1806, William Brackin purchased land in Sumner Co TN from his son James (Deed Book 4, p 116). In Nov 1821, Elizabeth Gillehan's will was probated (Gallatin, Sumner Co, TN Will Book # 1). 'The Brackin Family in the Southeastern United States' by DR. Henry Brackin, Jr.
22nd Street, Lawrenceville, Illinois printed 1965. 1. William BRACKEN, b. Before 1675 in Lancashire or Yorktown, England . d. April 8, 1749 in New Castle, Delaware. Emigration: August 25, 1699 Reached Philadelphia aboard the ship, Britannia from Liverpool. Property July 14, 1702 Requested a land grant of 100 acres near Red Clay Creek, Newcastle, Deaware. Property 1726-1727 Gave 200 acres to son, Thomas, 150 acres to son, John April 8, 1749 Will was drawn. December 28, 1749 Will was probated. Married: Hannah Unknown. The will is on file in Will Book G page 459, Wilmington Deleware. One Theory: 1749 (Abt): William Gillehan is born, 1749 (Abt): Susannah Bracken dies, It is possible that about 1750 the widower ,John Gillehan, marries another woman and that Clemmons Gillihan is born to this union. - This is pure speculation, because no marriage record has been found. However, no other possible father has been found and there are many indications that William and Clemmons are related. 'Old' Willaim Bracken/Brackin was probably the first of his line in America. He reached Philadelphia PA on Aug 25, 1699, aboard the ship 'Britannia' from Liverpool England. William Bracken witnessed the will of George Goodsell July 25, 1699, while aboard this ship. Due to sickness aboard the ship,a committee was appointed at the monthly meeting of Friends in Philadelphia August 25, 1699, "to assist the sick and weak passagers from Liverpool." Apparently William Bracken was appointed a recipient for on August 29, 1714 the Friends in their meeting resolved "whereas 30 shillings were lent to William Bracken, he being now able to repay, therefore Anthony Morris and William Hudson are appointed to write to him so he might return the money again for the use of other poor Friends." Although the above suggests he was a Friend, this family was connected with Holy Trinity (Old Swedes Church) in Wilmington, Delaware. This was a Swedish Lutheran congregation until 1790. John Brackin, his son, and his family seemed to have been Presbyterians in North Carolina and was so during the early years in Sumner County, Tennessee. There is no further record of William Bracken after he arrived in Philadelphia until July 14, 1702 when he requested a land grant of 100 acres near Red Clay Creek (New Castle Co., Del.). John Gillehan (husband of Susannah Bracken now deseased) - Grandsons; William Gillehan and William Bracken - Granddaughters; Elizabeth Gillehan and Martha Jordan - Exc's of will: Henry Bracken, son and William Bracken, grandson. Source: 'A Calender of Delaware Wills, New Castle County, 1682-1800' that was abstracted and compiled by the Historical Research Committee of the Colonial Dames of Delaware. Gillehan son of the said John Gillehan thirty pounds Currt money of Pennsylvania to be put out at intrest for him by my Executors until he arrives to said age of twenty one years and then to pay him the Principal and Intrest. Item. I do give unto my grand Daughter Elizabeth Gillehan Daughter of the said John Gillehan the house and shop where John Lapsley lately lived it being on the main Road leading to the White Clay Creek landing and four acres of Land joyning to it and all the appurtenances thereunto belonging to her and to her heirs forever and fire wood sufficient and convenient for twenty one years shee or her heirs cutting or hauling the same But if it should happen that she shou'd depart this life without lawful Issue then it is my will and I do give and Bequeath the above said house and shop and four Acres of Land and priviledges aforesaid to my Grandson William Gillehan and his heirs forever." 1774: John Gillihan in Dunmore's War which was fought in northwest Virginia. 1783: Thomas Gillihan born in North Carolina, which could have been what is now Tennessee. Brother of Clement, per letter from Gideon B. Gillihan. 1788(? 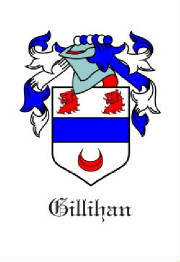 ): Clement Gillihan born to William Gillihan in SC. 1790: John Gillihan sold land and bought land in Sullivan County, TN which was still part of North Carolina (until 1796.John Gillahan is in the 1790 census in Burke County, NC with 1 male over 16, 1 male under 16, and 3 females, per census records. INDEX OF REV WAR PENSIONS APPS. GREENVILLE COUNTY, SC 1790: William Gillihan receives bounty land in Greenville County, SC and is in census there. 1790 - Census 96th District Greenville Co, South Carolina a William Gillihan had 2 male under 16, 2 males over 16 and 3 females. 1793: John Gillihan in Buncombe County, NC ordered by court to lay road from ford of Ben Davidson's Creek to middle of French Broad river. Thomas Tadlock a carpenter from Virginia. I have data on a deed he sold in VA and data on property he bought in Northampton County, North Carolina. Mother: Elizabeth (surname is unknown at present). 1. Mary Tadlock m. William Padfield 10 May 1787 in Greene County, TN. 3. Thomas Tadlock m. Catherine David. 5. John E. Tadlock b. abt 1755 in VA. d. Abt 1820/1821 in Trigg Co., KY.
m. Ann Harrod 19 Jul 1903 Mercer Co., KY.
m. Nancy Jordan Rochester 19 Jul 1805 Boyle Co., KY.
6. Lewis Tadlock b. 1764 d. 1815 Washington Co., TN. 7. Elizabeth Tadlock m. William Hust 29 Oct 1791 Greene Co., TN. 8. James Tadlock m. Susanna (surname unknown at present). evolved into the state of Tennessee. Gilham, Thomas 30 farmer B. abt 1830, Tenn.
Elizabeth 20 B. abt 1840, Tenn.
1. Amanda 6 B. abt 1854, Tenn.
2. William 1 B. abt 1859, Tenn.
Gilham, James R. 27 B. abt 1833, Tenn.
Harris) Nancy 18 B. abt 1842, Tenn.
Nancy 38 B. abt 1822, N.C.
Clement 20 B. abt 1840, Tenn.
Allen 18 B. abt 1842, Tenn.
Edwin 15 B. abt. 1845, Tenn.
TENNESSEE 1870 Census, SMITH CO., Chestnut Mound, Civil Dist. 10. Gillahan, Holly, 70 B. Tenn.
1. Elizabeth, 43 B. Tenn.
SMITH CO., Chestnut Mound, Civil Dist. 10. Gillahan, Rufus, 30 farmer B. Tenn.
SMITH CO., Chestnut Mound, Civil Dist, 10. * Gillihan, William 45 B. Tenn.
* Gillahan, John 32 B. Tenn.
John M. 10 B. Tenn.
SMITH CO. Chestnut Mound, Civil Dist. 10. Gillahan, Andrew V., 31 farmer B. Tenn.
Mary F. 30 B. Tenn.
Kezzy J. 10 B. Tenn.
STEWART CO. Dist. 1, Cumberland City. Gillahan, James 35 farmer B. abt 1835, Tenn.
Nancy 26 B. abt 1844, Tenn.
James 9 B abt 1861, Tenn.
Samuel 7 B. abt. 1863, Tenn.
Nancy 4 B. abt. 1866, Tenn.
Sally 50 B. abt 1820. ILL.
Gillahan, Thomas, 46 farmer B. abt 1824, Tenn.
1. Meranda 15 B. abt 1855. Tenn.
2. Sarah 4 B. abt 1866, Tenn.
3. Louisa 6/12 B. abt 1870, Tenn.